Author’s note from July 6, 2017: I originally wrote this several years ago. Unlike the other posts on this blog, to which I try to limit any changes, I’ve come back to this one a few times, rewritten some parts, tweaked others, in an effort to more clearly bring things into a fuller circle. There’s obviously no need to overstate the importance of July 6, 1957, to any reader of this blog. 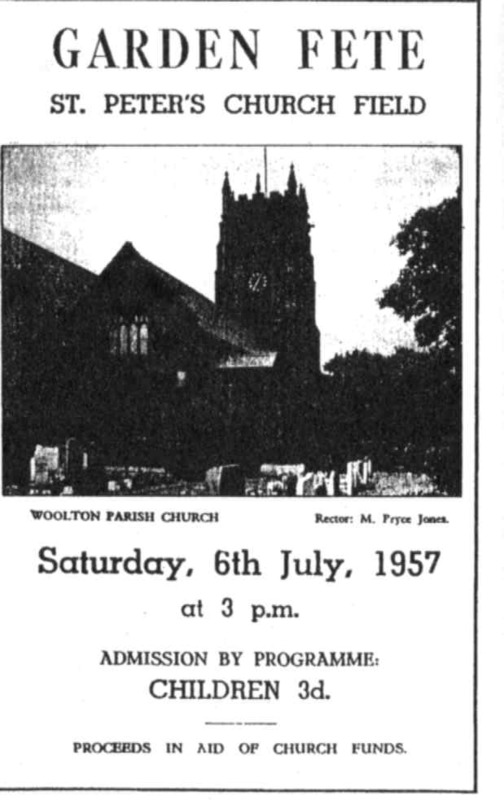 It’s the day John Lennon and Paul McCartney met after John’s Quarrymen played the Garden Fête in Woolton, and thus, everything changed in this world, and for the better. First, a quick recap of that day, via the Beatles Anthology DVD. Take it, John! There simply can’t be a more important moment in Beatles history than the birth of the Lennon-McCartney partnership. Everything came from that, not the least of which was Paul soon introducing George Harrison to John. But that’s another story. Mark Lewisohn dedicates an entire short chapter to July 6, 1957, in his indispensable extended edition of his Beatles biography Tune In, vastly expanding upon any basic retelling of the Lennon-McCartney origin story and going so far as to tease the possibility the two actually first met — without any guitars — prior to the fête. But no matter what happened before that day, Paul taking the initiative and confidently performing “Twenty Flight Rock” for John was the moment that mattered. “The thing I think that impressed him most was I knew all the words,” Paul said in the above Anthology clip. The Beat les never covered “Twenty Flight Rock” — Paul eventually would on numerous occasions solo and with Wings — but they did give it a nod amid the Get Back sessions, on Jan. 23, 1969, by which point the recording had moved to Apple HQ at Savile Row. More than 11 years after Paul played the song for John — impressing him enough to begin their partnership — and some months from the last time John and Paul would work together again, Paul couldn’t quite remember the words. At all. Alas, the elevator’s indeed broken down. There’s not much magic to the light-hearted clip, although it’s nice to hear Billy Preston, and George’s solo is pretty good. But no longer is Paul playing the song to impress John. In so many ways, it was Paul’s group by then.